Also Ramon Rosso is obvious omission to me. He's in our 30 for sure. Less sure about that. Seems a little like Jose Tavares 2.0 to me. Yes Tavares probably made the top 30 last year (or close), but with pedestrian stuff you really need some AA and likely AAA performances to get there. He is fringe top 30 to me until we know a bit more. Speaking of Taveras, what is his injury? He's been out all year, right? Kilome becomes the Mets' number 5 prospect on MLB.com. Was 10th for us. Nick Maton slides into the number 30 spot. I think it's shoulder problems for Taveras. He hasn't pitched since June 1 for Reading. Another name to put out there is Simon Muzziotti. He's only 19, hitting .290 in Lakewood. Will need to develop some patience and/or power, but he has bat-to-ball skills, speed, and defense on his side. And youth. This. 3/4 again tonight with a triple. Randolph 3/3 looks like he really may have figured something out. Wonder if Pujols was hurt or sick or had eyesight problems last season. He was really good two years ago, too. How so? Didn't show up for game, or promoted? I agree--should be on the list somewhere. Although I'd like to see Scheiner promoted, I think he's a fringe prospect and a fringe top-30 guy. He's old for the level at Lakewood (23 next month). Also, what's his position? I haven't seen this mentioned yet on any other thread, so I'll just attach a link to Winkelman's mid-season top 30 Phillies prospects, which he posted on the tenth. Someone must have graduated out of BA's Top 100 recently so Enyel De Los Santos moves into the #100 slot. In addition to Sixto and Bohm, we have Medina at 99 and De Los Santos at 100. I'll feel a lot better about our 4 guys in the top 100 when Sixto is healthy and pitching well again. Top 10 Prospects: 1. Sixto Sanchez, RHP; 2. Luis García, SS; 3. Alec Bohm, 3B; 4. Adonis Medina, RHP; 5. Adam Haseley, OF; 6. Jhailyn Ortiz, OF; 7. Mickey Moniak, OF; 8. JoJo Romero, LHP; 9. Enyel De Los Santos, RHP; 10. Spencer Howard, RHP. Based on input from all 30 front offices and many of the game's top evaluators, here are grades and rankings for all 30 farm systems as of August 2018. Big Luis Garcia fan here. And probably the high rating for Spencer Howard that we will see. I'm going to do my own under-20 (baseball age -- as of July 1 ) prospect list by level for Phils players. (note-Cornelius Randolph is the youngest player on Reading, at baseball 21). I'll add DSL later if andyb doesn't beat me to it. Sixto Sanchez(RHP)-A+: Injured much of the year, consensus #1 prospect in the system, was only 19 on July 1. Great velocity on the fastball, reportedly healthy now in CLW, throwing BP and simulated games. I might be tempted to bring him back for the FSL playoffs. Sixto is younger than any pitcher on the Lakewood roster. Simon Muzziotti(OF,LH)-B-: Young for Lakewood has struggled folloiwing an early trip to the DL this season. Mediocre numbers at Lakewood with no power and few walks. Seems likely to repeat Lakewood to me. Jhailyn Ortiz(OF, RH)-A-: Disappointing year after a dominant performance at Williamsport last year. Had one hot streak, but was having difficulty making contact the rest of the time. Power still there with a .150 ISO. I'd bump him to CLW next year. Ethan Lindow(LHP)-B+: Regular starter with a mid-2 ERA and about 8Ks/9IP. Will make most Philies' top-30 lists I would think. Lakewood next season. Might move him there for the playoffs if I were the Phils. Francisco Morales(RHP)-A: An under -the-radar prospect, a 6'4" starter who throws hard and has 57Ks in 45 IPs. Needs to sharpen his control in Lakewood next year. Manuel Silva(LHP)-B+: A strikeout/IP with a 3-ish ERA this season. The rail-thin lefty is a bit wild and gives up too many HRs. Will be in Lakewood next year. Raphael Marchan(C,SW)-B+: High BA catcher needs to be more patient at the plate with his current lack of power. 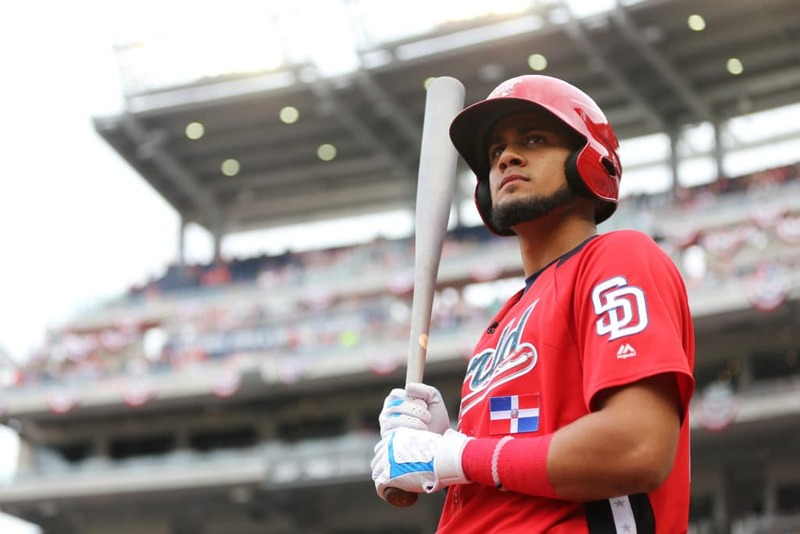 Has a good defensive rep.
Brayan Gonzalez(2B,SW)-C: Didn't make the hoped-for jump in performance this season coming off of a good stateside debut in GCL. Might repeat WMPT next season. Johnathan Guzman(SS,RH)-B-: Another player who disappointed with the bat this season, but played mostly at age 18 this year, and was good defensively at an important position. Ben Pelletier(OF,RH)-A: Another under-the-radar prospect who started slowly after a spring injury but is ripping the ball now. 880 OPS in July and August. Dominick Pipkin(RHP)-B:High-bonus draftee with a mid-3 ERA and not many strikeouts. Phils really limited his innings this season, might repeat GCL or go to WMPT next year. Victor Santos(RHP)-A: What can you say about 65Ks and 4 BBs? control artist will need to add some velocity to move up. Ben Brown(RHP)-A-:62Ks in 49IP with decent control. A nice season for the NYHS prospect who seems to be tiring a bit late in the season. Kyle Glogoski(RHP)-B+:The New Zealand native had a nice debut season with 47 Ks in 39 IP and good control. Needs a bit more experience on the mound to rate higher. Juan Aparicio(C)-A-:High average catcher with a lot of power, but needs to take more walks (only 4 this season). His BA took a 130 point jump this year, let's hope it was real. Catchers sometimes move slowly because they are working hard on defense, so expect Aparicio in WMPT next year. Abrahan Gutierrez(C,RH)-B+: A solid hitting catcher who hits a lot of balls on the ground. The former Brave (lost due to MLB penalties) played well for the Phils overall repeating the GCL. I'm guessing he starts at Lakewood next year. Logan O'Hoppe(C,RH)-A 950 OPS catcher--what's to complain about? Seems a bit behind the other GCL catchers on defense (did a lot of DHing this season). Should walk a bit more than he does, which may help his power, too. 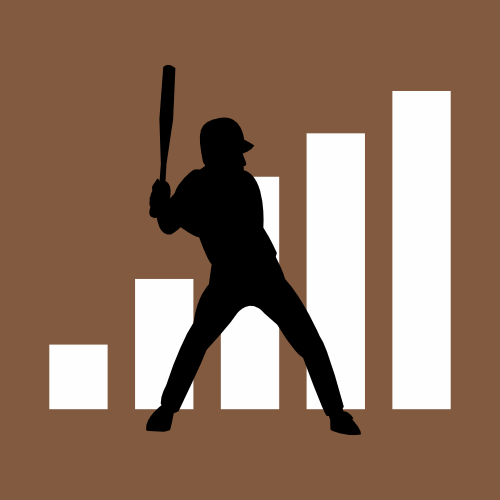 Luis Garcia(SS,SW)-A+:A solid defensive SS who can really hit with power and patience. Should be a top 5 prospect for the Phils this off-season. Stole 10 bases this season, albeit in 18 attempts. 900 OPS. DJ Stewart(3B,RH)-B:Played a full season in GCL after getting his feet wet last year. Flier signing has patience but has yet to show game power. Nicolas Torres(2B,RH)-A-:Good average, little power or patience now. Has hit well for average in both of his minor league seasons, and got a significant bonus. Logan Simmons(SS,RH)-A:He's an interesting comparison to Torres--much lower average but takes walks and hits for power, posting a 750 OPS. I think he'll go to Lakewood next year. Carlos De La Cruz(OF,RH)-A-:6'8" OF still moves a bit awkwardly, but he can seriously hit for a kid in GCL. An 830 OPS with decent patience to go with his power. Might make Lakewood next year; hope he can stay in RF. I think DSL ends this week. Will take a shot at a "Potential Prospect" list maybe next week. Last time I looked the OFs and Cs were the easiest to point out as potential prospects. Pitchers are a bit harder so their bonuses and whether they stayed in the starting rotation are the biggest clues as to who are the best prospects (as opposed to performance). An Israel Puello for instance is likely one of the top couple of pitching prospects down there even if he has been a bit uneven performance-wise. Biggest change they made for the Phillies was moving Mauricio Llovera up into their 40+ category as a multi-inning bullpen piece (i.e. like where they see De Los Santos now). The multi-inning bullpen piece I think is a big part of how Klentak views the starting staff of the future. It is less about getting 200 innings out of starters and more about getting 3-4 out of a starter and then 2 out of the first reliever, maybe with a left-handed change of piece in the middle. Which is why the Andrew Miller rumors make some sense in the upcoming free agent market. That's good. Bohm goes BOOM.